Female Old Masters may now be beginning to get the attention they have long deserved, but in the past, art dealers not only ignored them, but tried to erase them. Jordana Pomeroy, a specialist in the subject who is now the director of the Patricia & Phillip Frost Art Museum at Florida International University in Miami, tells The Art Newspaper podcast that works by some women had not just been accidentally misattributed; male signatures had been actively added to their work. 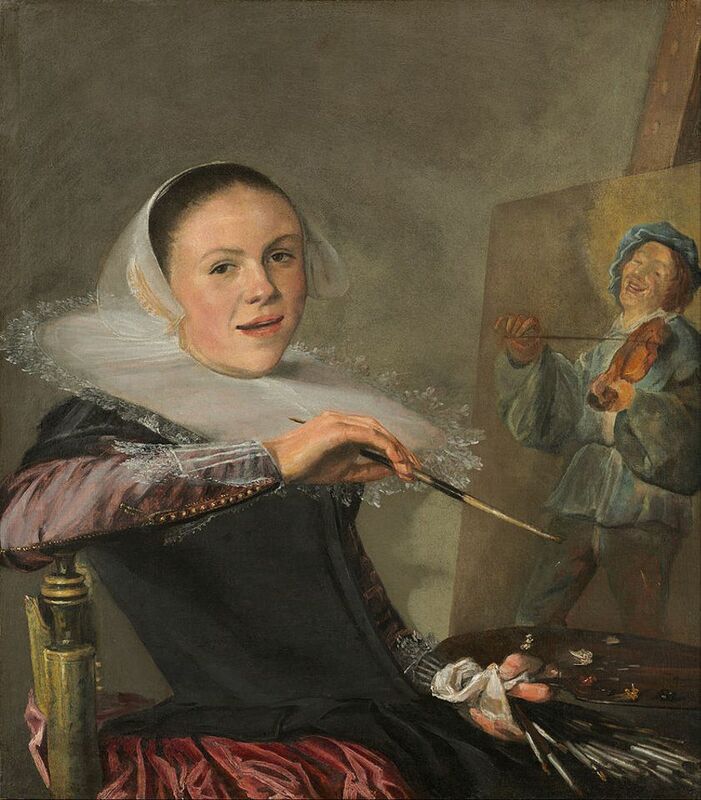 She gives the example of the Dutch 17th-century artist Judith Leyster. “[She] was well known in her time,” Pomeroy tells me on the podcast, “she was part of a guild, which was unusual for women artists. But her signature was literally painted over. By who? Dealers—it’s a question of the market. Her works were promoted as Frans Hals.” Such scandals were, of course, about cash—“reattributing so that you can ask more money for a Frans Hals than you could for a Judith Leyster”, Pomeroy says. “And this kind of thing went on for many, many years, and certainly through my era of expertise, late 19th-century British painting.” She adds that it was scholars who noticed Leyster’s monogram involving a star—“a really beautiful signature”—on works that had been signed with Hals’s name. “And uncovering that literally uncovered her reputation,” she says. That was in the 1890s, but it was not until the 1970s that work began in earnest to reflect the scope of Leyster’s achievement. On the same podcast episode, you can also hear an interview with Letizia Treves, the National Gallery in London’s curator of later Italian, Spanish, and French 17th-century paintings, about the museum’s newly acquired and restored painting by the Baroque painter Artemisia Gentileschi, Self Portrait as Saint Catherine of Alexandria (1615–17), which is about to go on a pop-up tour of unusual venues across the UK, beginning with the Glasgow Women’s Library (6 March-19 March). Treves talks in depth about the work in context of Artemisia’s extraordinary life. And the podcast also explores Condo, where London galleries offer up their spaces to galleries from overseas, and ponders wider issues affecting galleries, with the London gallerist Kate MacGarry.